All educators want to improve the work they do for students, their families, and the community. Whether it's instruction, school climate, leadership, family engagement, or any of the other issues schools face on a daily basis, all educators need tools to help them improve their actions and methods. A whole child approach sets the standard for comprehensive, sustainable school improvement and provides for long-term student success. Now is the time to make a difference in the lives of our learners, to propel them into the world as beacons of success and hope. 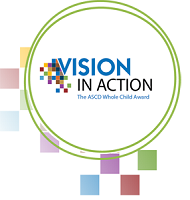 ASCD's 69th Annual Conference and Exhibit Show is two weeks away—it's not too late to participate! 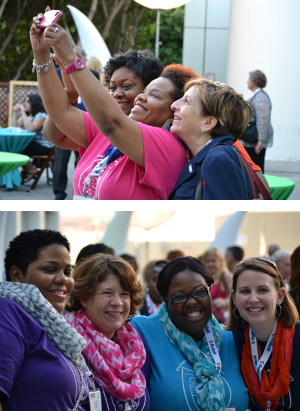 The conference will be held in Los Angeles, California, March 15–17, 2014, and will showcase ideas and best-practice strategies that are driving student achievement and unlock ways to boost teacher and leadership effectiveness. Attendees will choose from more than 350 sessions that will enable them to prepare our world's learners to be creative, critically minded, and compassionate citizens. The conference's general session speakers include education luminaries such as Sir Ken Robinson, Daniel Pink, and Russell Quaglia. The conference is generously supported by sponsors including Microsoft, Adobe, and VINCI. School and home can often be worlds apart. In a recent issue of ASCD Express, we looked at the types of outreach that draw family strengths and influence into the school community in positive ways and unite these two spheres of a student's life. What Resources Have Helped You Implement and Sustain School Climate Improvement? Post written by Robert Halpern, director of the doctoral program and chair of the research council at the Erikson Institute in Chicago. The Effective Teaching and Leading Act (S. 1063) was recently introduced by United States Senator Jack Reed (D-RI), and we need your help in getting your Senators to support it! The bill would help ensure that teachers and principals are effectively trained, mentored, developed, and evaluated through proven, team-based professional development strategies.